As the Christmas season is finally upon us, so is the winter season. Instead of sitting inside a warm house, powered by heating which costs money. Why not invest in Double Glazing Windows to save money on those heating bills and keep Jack Frost out! Double glazing is an extra layer of glass fitted on your windows with a gap in between them to trap any cold air from getting through. Double glazing windows also reduce the amount of noise you can hear, due to the extra layer of protection. Due to that extra layer of glass, the amount of air coming through your windows will decrease by up to 64%, which will defiantly decrease your heating bills! Giving you the advantage to spend your money on more important things like presents! Our double glazing windows are not that expensive to buy and install. We ensure that all of our prices are competitive and if you find another company who is willing to fit your double glazing windows for a cheaper price… We will match that price for you! If you turn your heating on every time you get cold, without having double glazing windows, then your house will be warm, but only for a short period of time. Whereas if you have double glazing fitted, this will be a long term solution. Christmas is usually a tight month money wise, due to buying presents and food. Making it nearly financially impossible for you to afford anything around your house, including double glazing, which is needed in the winter months! Currently, we have an offer available to give you 35% off of our services this Christmas period! Contact us today and use the code ‘WEB15’!  “I have recently fitted Double Glazing windows in Milton Keynes with the help of the team at Crown Windows! They helped me with so much and had my double glazing fitted as soon as possible! I knew having double glazing would help me in the long run so I made the small investment to get them fitted before Christmas! Prices were great! So much cheaper than other companies that I had found! ”.